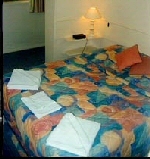 Darling Towers is a leader of short-term and long term accommodation in Melbourne. Choose from budget to luxury accommodation in townhouses, residences and 1, 2 and 3 bedroom apartments. Located in some of Melbourne's exclusive CBD and South Yarra districts, Darling Towers offers you a true Melbourne experience. Venture into the glamorous theatres and museums, dine at the most prestigious restaurants, and experience in the city's vibrant night life. In the heart of the CBD, the Collins St and Queens Road apartments lie just moments away from the Exhibition Centre, Telstra Dome and the Melbourne Casino. The superb Queen Road location overlooks the pristine Albert Park Golf Course. Book online now for your chance to capture the delights of Melbourne's renowned city culture. The two bedroom directors apartments at Darling Towers South Yarra are located in a beautiful tree lined street. These serviced apartments are ideal for family or couples needing a lot of space. The features of the apartments include 2 TVs, VCR, washing machine and dryer, air-conditioning, a fully equipped kitchen, FOXTEL, direct dialling phones, safe deposit box, microwave, alarm clock and a carpark provided. The South Yarra apartments are also only a short walk from public transport and the numerous restaurants, shops and cafes of Toorak Road and Chapel Street. The two bedroom murphy apartments at Darling Towers South Yarra are situated in another lovely tree lined street. 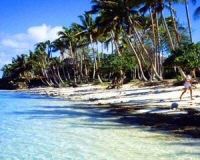 They contain a queen bed and 2 single beds, a fully equipped kitchen and separate lounge room. These serviced apartments provide good corporate accommodation in Melbourne. The apartment's other facilities include granite bench tops, 2 TVs, VCR, cable TV, balcony, direct dialling phones, laundry facilities, hair dryer, alarm clock and safe deposit boxes. 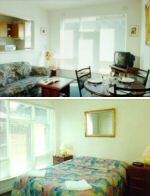 The two bedroom economy apartment at Darling Towers South Yarra contains a queen size bed and 2 single beds, fully equipped kitchen, separate lounge room, tea/coffee making facilities, direct dialling phones, television, VCR, Cable TV, laundry facilities and an alarm clock. These apartments provide the perfect accommodation for the family on a budget. Darling Towers one bedroom directors apartments are located in one of South Yarra's best streets. These serviced apartments contain a queen size bed, fully equipped kitchen, separate lounge room, tea/coffee making facilities, direct dialling phones, television, air-conditioning, VCR, Cable TV, laundry facilities, alarm clock and car parking. The apartments are only walking distance to the shops and restaurants on Toorak Road and Chapel St. The one bedroom boutique apartments at Darling Towers South Yarra are situated just off Toorak Road, with easy access to trams and trains. These serviced apartments feature a queen size bed, fully equipped kitchen, separate lounge room, tea/coffee making facilities, direct dialling phones, air-conditioning, 2 TVs, VCR, microwave, laundry facilities and an alarm clock. A quality apartment in South Yarra, at a reasonable rate. Darling Towers one bedroom executive apartments are located close to Toorak Rd and Chapel St, South Yarra. The features of these serviced apartments are a queen size bed, fully equipped kitchen, separate lounge room, tea/coffee making facilities, direct dialling phones, television, VCR, Foxtel, laundry facilites, microwave, alarm clock and car parking. 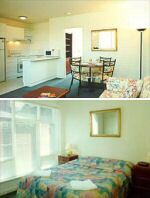 Great value for money apartment accommodation in Melbourne. The one bedroom economy apartment at Darling Towers South Yarra contains a queen size bed, fully equipped kitchen, separate lounge room, tea/coffee making facilities, direct dialling phones, television, VCR, microwave and alarm clock. The perfect budget apartment if you are looking for a place in Melbourne to lay your head. The Run of House one bedroom apartment at Darling Towers could be any one of the one bedroom serviced apartments in South Yarra. This option is perfect for those people looking for budget apartment accommodation in Melbourne.